I’m proud to announce that we’ve launched Daily Desmos 2.0! So what’s Phase Two for Daily Desmos, you ask? Well, we thought that we’d try to take all of the groovy graphing juices we’ve got flowing and focus them through some new constraints and with some new goals in mind. For the next several weeks we’re going to be operating with a theme of linear functions. We hope that this will help us to create challenges that might more easily fold into classroom use. Also, it’ll be interesting to see what new perspectives on the good ol’ straight line we’ll produce, given the milieu and habits we’ve worked to establish over the last months. We’ll tackle other function families in the future. And there’s another component to Phase Two. These weeks will be a testing ground for interesting linear graphing challenges—generating ideas, throwing them up against the wall, and seeing what sticks. In the background we’ll be working to craft a sequence of linear graphing challenges that could help a student who’s new to linear functions to ramp up their understanding and fluency. The end product will be posted as a stand-alone problem sequence on the Daily Desmos site. The effort will be spearheaded by the inimitable and prolific Michael Fenton. I can promise that whatever we put together won’t be amere bottomless pit of procedurally generated “graph this linear function” exercises. And where do You come in, dear reader? Well, as Dan already blogged, we’re looking for some new Daily Desmos crewmembers. What does that entail, you ask? 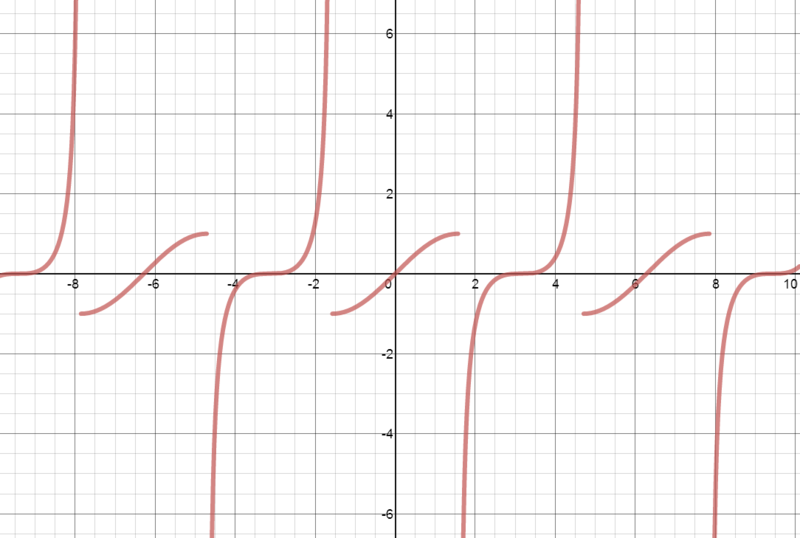 Every couple of weeks, you’d create two graphing challenges. Whatever floats your boat. According to a theme, if one is operative. And you can even tap your colleagues and students as collaborators! Then you’d post your challenges on the site. This is pretty simple—if you write a blog, you basically already know how. And if you don’t, we can have you up and running in a few minutes. You can sign up for a fixed term—a couple of months, say—or have it be open-ended and then bow out and take a break when you feel like it. Posted in: advanced. Tags: mod, trig. Looking forward to the continued challenges. I suppose you could call what I did more “elegant” but you solved it none-the-less! Nice work.